Volkswagen had a lot of great news to share in 2016, but one of the biggest announcements to come from the German automaker was undoubtedly the Atlas. 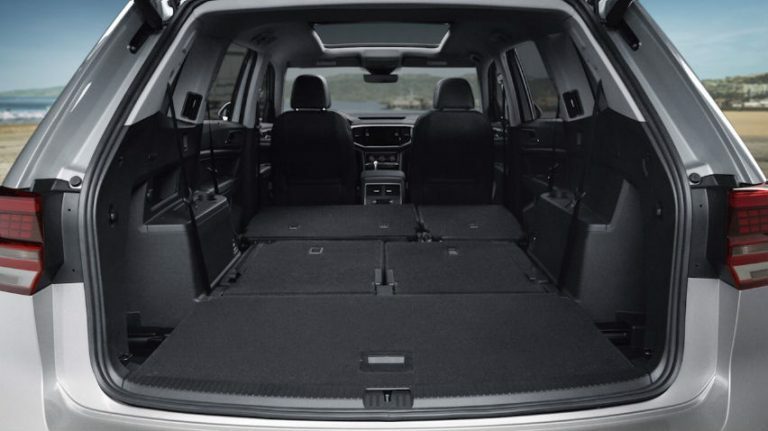 For the first time in the United States, Volkswagen will be unleashing a full-size SUV that has the ability to fit as many as seven passengers and a great deal of cargo. We’re smitten with the gorgeous exterior of the 2018 Volkswagen Atlas, but today we thought we would spend a bit of time talking about the interior—more specifically the features and capacities. As there has never been a three-row Volkswagen before, we’ll start by talking about the extra row of seats and all of the good things that come from that. Like a standard SUV, the Atlas has two seats up front and three in the middle. To help give passengers in the way back plenty of leg and elbow room, the third row has just two seats. A lot of good comes from having those extra two seats, but there are also benefits to folding those seatbacks down and taking advantage of all of the space that the Atlas has to offer. 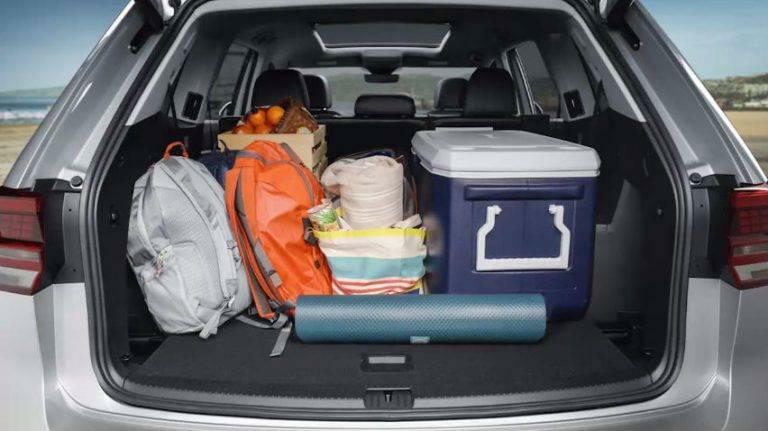 Up until the Atlas came along, the most spacious Volkswagen vehicle was the Golf SportWagen, which has the ability to fit as much as 66.5 cubic feet of cargo—roughly three times the amount of the average sedan. With the addition of the third row in the Atlas, as well as the slightly-higher roof height, the Atlas manages to add an extra 30 cubic feet to the equation, bringing the total cargo capacity to 96.8 cubic feet. Although the maximum cargo capacity is achieved when the seatbacks of both the second and third rows are folded down, the seatbacks are split-folding, which allows you to fold them down in a variety of configurations. If you need to haul a longer item such as a ladder, but still need space for five, you can make it work quite easily in the Atlas. As if all of that wasn’t enough, the seats of the Atlas can be folded and brought back to position with ease. Transforming the interior takes seconds rather than minutes. We are still a few months away from the release of the Volkswagen Atlas, so not all of the features have been made known yet, but we are pretty impressed with the ones that have been. That includes top-of-the-line options like Volkswagen Digital Cockpit, driving mode selection, an eight-inch touchscreen display and a multitude of driver assistance safety features, there is plenty to keep you safe and entertained. 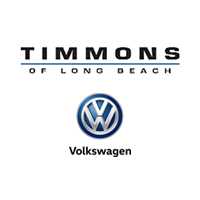 If you are interested in learning a bit more about the capabilities of the Volkswagen Atlas, we encourage you to check back here on the Timmons Volkswagen blog, where we will be sure to keep you updated as soon as we hear more about the specs and features of the upcoming three-row SUV. You can also keep a close eye on our inventory, as it won’t be too much longer before we start to stock the all-new 2018 Atlas.